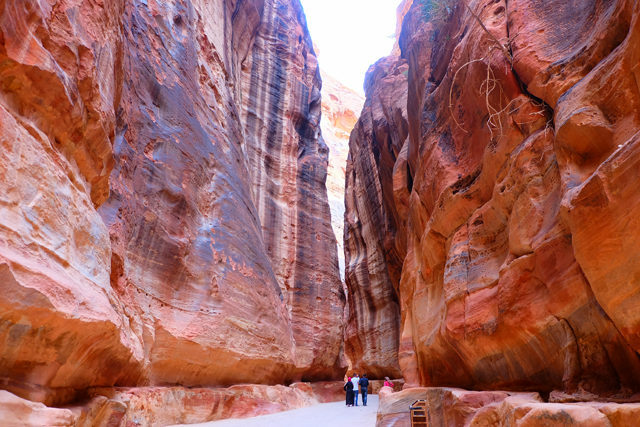 Four hours from Jordan’s capital city of Amman sits the jewel of the country, and one of their most treasured tourist attractions, Petra. 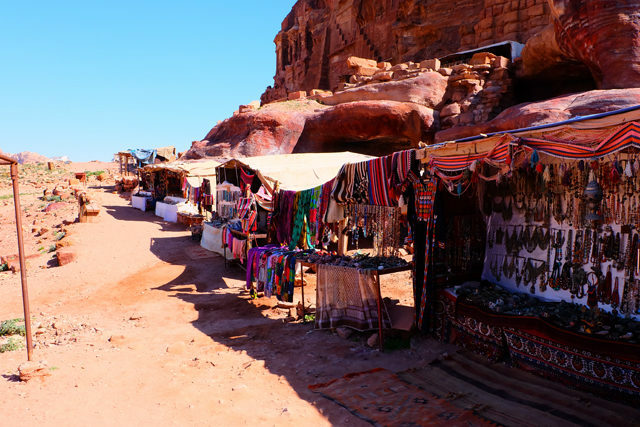 When you first arrive in the city of Petra, you’ll first notice the rows of restaurants, hotels, and local shops that line the streets—this is known as the new part of the city, and isn’t what tourists come to Petra for. 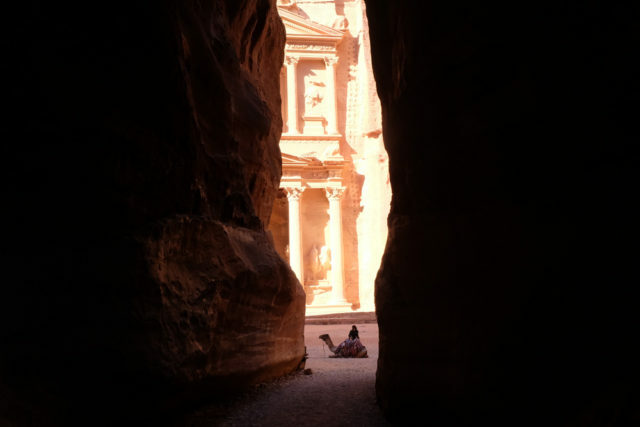 The old part of the city, known as Rose City or Lost City, is what thousands of tourists come to Petra for, with some tourists only popping in and out of the country for this alone. There isn’t a known date for when Petra was actually built but the city began to prosper in first century BC, and the city continued to thrive until a major earthquake in 363 AD that destroyed the majority of the city. 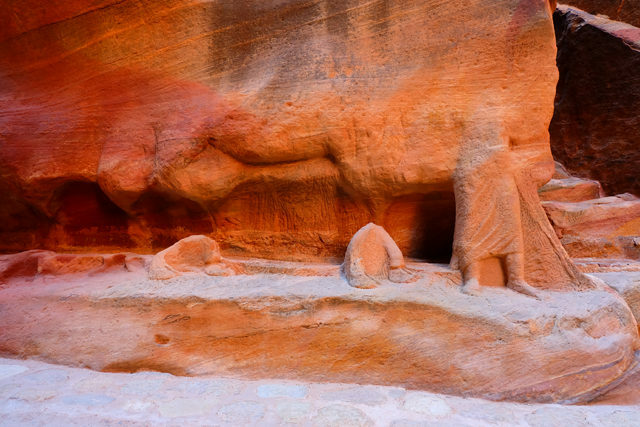 With the earthquake, and the changes in trade routes, the once thriving city of Petra, was ultimately abandoned, and “lost” to all except local Bedouin from the area. Note: Bedouin are nomadic Arabs from the desert. 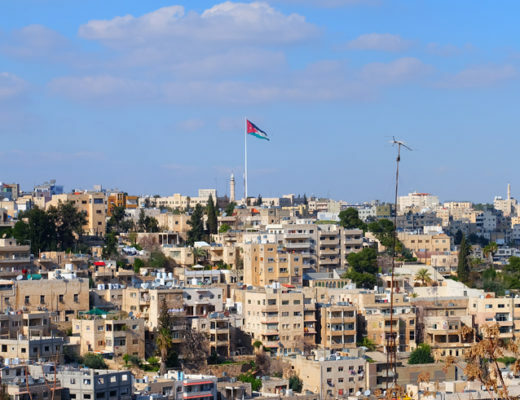 As you walk through the narrow gorge that is over 1km in length that leads you to Al-Khazneh, known as the famous Treasury, it’s hard to imagine that once upon a time this was a bustling city, and an important centre for silk, spices and other trade routes. You’ll enter at the main entrance of the old city, which falls in the centre of the new city. I found this incredibly interesting because it was hard to believe that this was all sitting so close to where the more modern city is. Entrance to the site has a high price tag, costing 50 JD for one day, 55 JD for two days, and 60 for three days, but don’t let the price tag scare you, as this site is well worth the cost. As you enter and pass by the little shops and tourist centre, you’ll be asked if you want to ride a donkey, horse or horse drawn carriage through the Siq (the narrow gorge). 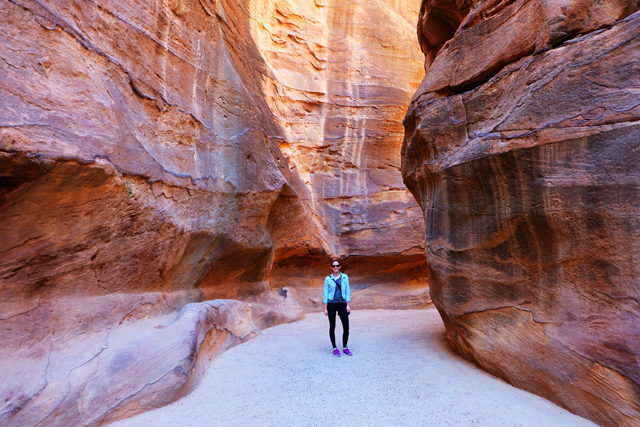 If you aren’t capable of walking long distances, opt for one of these options, but if you really want to experience Petra, use your own two feet to get around. Walking through the gorge is an experience in itself. Walking down the narrow walkway, you’ll be surrounded by cliffs that reach 80m in height and that are splashed with a unique red-pink colour. If you look closely, you’ll see what’s left of the occasional carving along route (like the ones photographed above), and even see the indent in the walls that served as a way to transport and gather water in the days that this city was a functioning one. Towards the end of the Siq, you’ll begin to get a peek of the famous Treasury, which is often what you see in all photographs of Jordan. The gorge will then open up to a bigger open space, and the Treasury will sit in front of you. This massive façade is 30m wide and 43m high and was carved in the first century as a tomb of an important king. When taking a glimpse of the Treasury, it’s hard to believe that the only purpose of it was as a tomb, as it looks like a building of much bigger importance. Once you see the Treasury, it’s easy to turnaround and head out, but I strongly encourage that you continue on past the Treasury to see more of the city. As you walk, you’ll see carvings of additional tombs along the rock, theatres, and the remains of temples that once stood in this town. 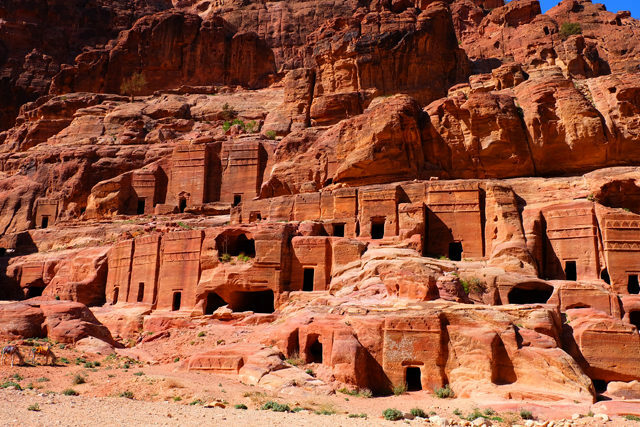 The Treasury is definitely a must-see, but if you have the time, and the ambition, the Monastery is another popular attraction in Petra. Since I was visiting the sites for only about half a day, I didn’t have time to visit the Monastery too, which at first disappointed me, until I saw how beautiful the Treasury was and left satisfied. 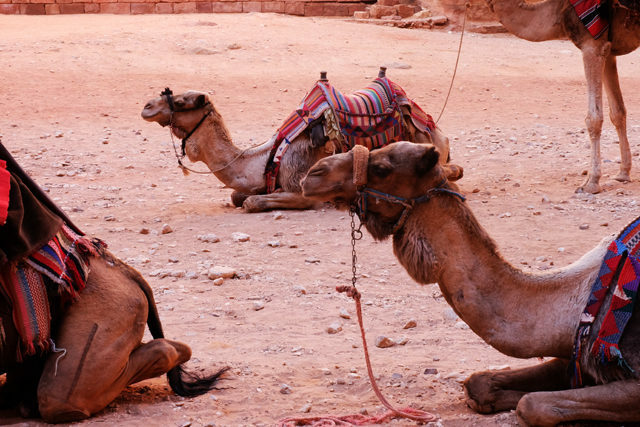 Along the route, you’ll have several options of people (mainly local Bedouin) trying to sell you everything from a camel ride to rocks that are said to be pieces of the city that you can take home. But outside the site, you’ll see signs put up by Jordan to avoid riding these animals, purchasing parts of the site (like rocks) that shouldn’t be removed, and giving money to any of the kids asking you to buy something. Be aware of what you’re purchasing and who you’re purchasing from. This comes down to responsible travel, and supporting animals that are potentially not well taken care of, and children who should be in school instead of trying to make money for their families. There are however, several little shops set up along the way selling jewelry and souvenirs. 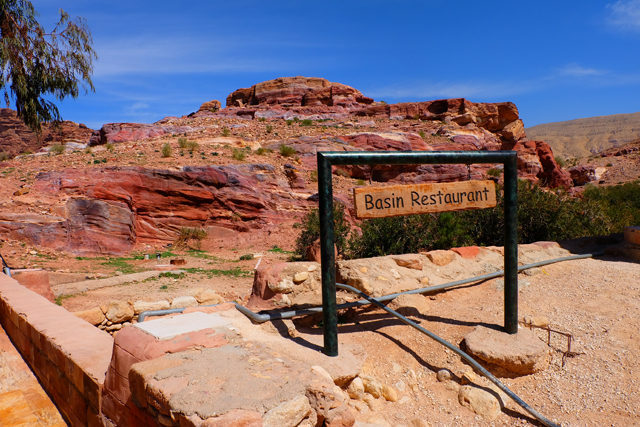 You can also dine at the Basin Restaurant located past the treasury and near the far end of the Roman Highway. This restaurant is a bit overpriced for what you get, but is the only one to eat at within the site. 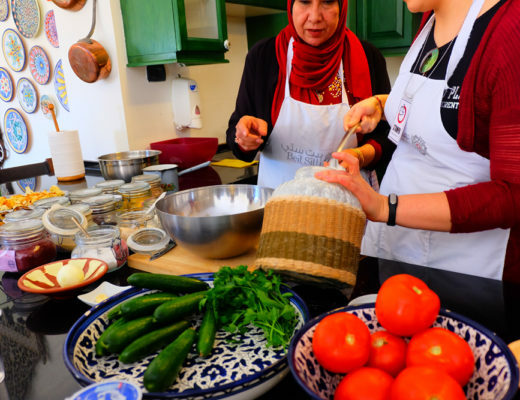 You can also get snacks and drinks along route at several other places, but if you’re looking to have lunch or dinner in the Old City, the Basin Restaurant will be your only option. 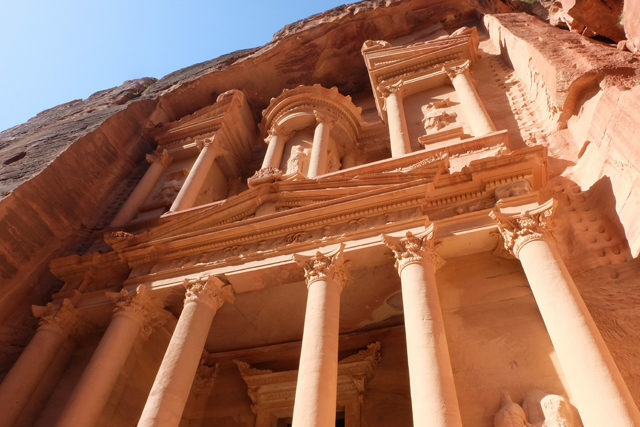 As a UNESCO World Heritage site and one of the New Seven Wonders of the World, missing Petra while visiting the Middle East, or Jordan would be a shame. So take out your pen and paper, and add this city to your bucket list. Even for travelers that aren’t looking to soak in every bit of history in a country, Petra can satisfy just about every type of traveler!